It seems most of us are willing to try anything in the name of beauty, but this trend has got me thinking, “can I really pull that off”? 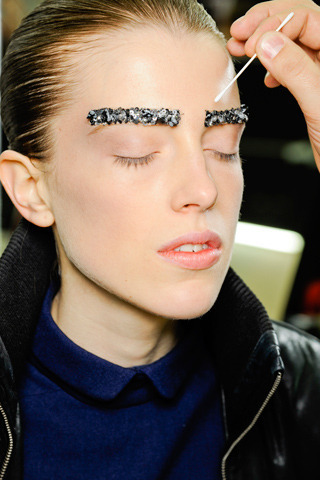 Bejeweled brows is the new beauty accessory. It reminds me of when lashes were encrusted with all sorts of gems (including diamonds—remember Madonna’s famous ones custom-made by Shu Uemura). 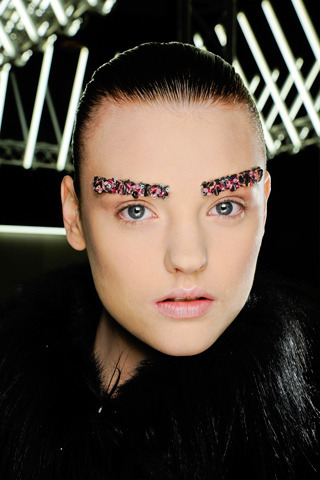 This time, jewels completely cover the eyebrows and creates a look that commands attention. 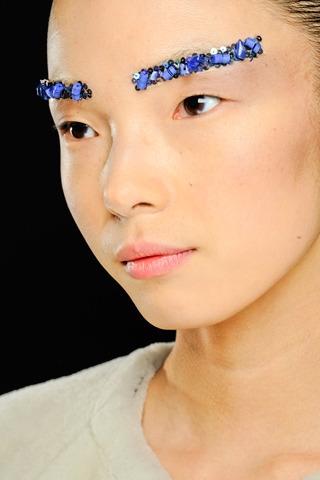 I’m still not sure what to make of this but it seems like a fun look to try for a fashionable event. What do you think of this trend? Yay or nay?